Please, tell us a little bit about your first encounter with wine & the wine industry? Any particular mentors at that time? What specific traits or skills should a Sommelier(e) possess for professional performance and is there any person with that qualities you especially admire within the wine industry? What would be your advice to a young Sommelier(e) i.e. Commis Sommelier(e) where to look finding an adequate position at home or abroad? Any further tips? I started to understand the power of wine when I found a mentor in cooking who forced me to learn food & wine pairing at an very early stage and from that on it have been my leading star thru all my years in the culinary industry so my advice to all young sommeliers is to remember what customers want from you and that is a good advice on wine to their food so put focus on learning from the best. Remember to travel a lot and to visit colleagues around the world to see how they operate so you can learn more from it. The best way and approach in this case is to ask what preferences they have and also what kind of wine they appreciate at home and after that make a suggestion that would make them interested of trying something new but in that same style. I work with the best known brands of glassware and I find them the best and easy to replace. What advice would you give people on pairing wine with food? Should a Sommelier(e) taste the guest’s wine? Giving people advice on food & wine is easy, I do not make it to complicated 🙂 and I think that the sommelier should taste the wine if the smell seems off or other strange thing occur. 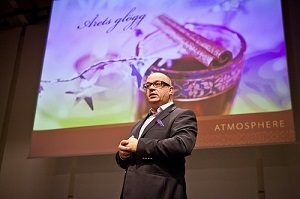 To find a sommelier position in the Nordic countries is easy and everybody knows everybody – be positive and socialise. To create a wine list is all about to find the best match with the chefs food a with some interesting choices and some well known labels that some of your customers recognise, all people are not adventures and the like to go safe sometimes, the markup on wines should reflect the establishment and also the size of inventory, a reasonable pricing is beneficial for everybody. I try to stay on top by visiting winemakers and wine areas of the world, you learn so much by just listening to good winemakers. I love new wine areas and are very open to changes as long the wines are well made. If you were a wine, which variety would you be, and why? What are the top 3 types of wine (your faves) would we find in your home wine collection and what’s your desert island wine? If I was a wine I would probably be a good garnacha from Spain, spicy, bold, tannic with long aftertaste and good balance, I always have Champagne, Barolo and some sweet wines at home for any occasions. My desert island wine would be a high class Champagne, just can not get enough of it.